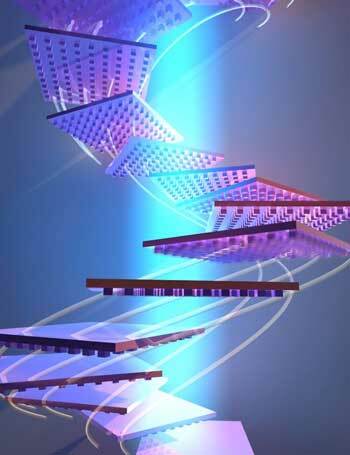 (Nanowerk News) Researchers at Caltech have designed a way to levitate and propel objects using only light, by creating specific nanoscale patterning on the objects' surfaces. A paper describing the research appears in the journal Nature Photonics ("Self-stabilizing photonic levitation and propulsion of nanostructured macroscopic objects"). The research was done in the laboratory of Harry Atwater, Howard Hughes Professor of Applied Physics and Materials Science in Caltech's Division of Engineering and Applied Science.